I am a productivity nerd. From schedules to timers to techniques and trackers, I hoard productivity tools with draconian jealousy. Or, I should say, I want to be a productivity nerd. I’m constantly trying the various tools I’ve learned or bought, I’ve painstakingly time-blocked and bullet journaled and pomodoro-ed, and I’ve had a varying degree of success with each. But oh my weird. Nothing has helped me like batching. If you’re familiar with the concept, scroll on to the “How To”. If you don’t know what in the bright sunshiny hell I’m talking about, read on. All books referenced are linked at the bottom of the post! It’s a weird sounding word. “Batching” sounds like a slang term for extreme baking or stalking Benedict Cumberbatch or rolling a bunch of consecutive ones in D&D. Shockingly, it is none of these. Batching is the action of doing a “batch” of similar tasks in one block of time. If you write three newsletters a month, you might decide to write all of them in one sitting. I do that. I also brainstorm several blog posts at a time since I can usually come up with additional ideas to expand upon. Same with writing fiction—in both, the outlining process is different from composition. It’s the most useful to me, however, for administrative tasks that fall into the “things that would be helpful but aren’t particularly urgent” category, like updating my website, fixing typos, ordering author copies, or adding titles to the “Also By” page in my ebooks. These are little things that I know would make a difference to my career, but the difference isn’t significant enough to compete with inertia when I’m tackling them one at a time. Taken altogether, though, and with a time put down on the calendar, it’s easier to get started. The combined influence of these tasks helps start the boulder rolling. It mitigates the brain-stress of multitasking. Because similar tasks are done together, we use similar cognitive functions during that time, which diminishes the mental fatigue of task swapping. To use the earlier example, I would not outline a blog post and then write it. That uses different mental functions. Instead, I would outline several blog posts and use a different block of time for the composition. I can hear all the people arguing with me about how good they are at multitasking, but seriously—for true productivity, you want to concentrate on one thing deeply. In her book “Singletasking”, Devora Zack notes the studies of Stanford University neuroscientist Dr. Eyal Ophir, which have shown that our brain isn’t able to focus on multiple things at once, but switches focus rapidly back and forth. So multitasking isn’t even really a thing. In addition, a 2011 Harvard study also revealed that our memory and other cognitive functions become limited while that focus is divided. This hinders our information processing, stresses our brain, and actually lifts cortisol levels. As a person who sometimes turns down the radio so I can concentrate on driving, this makes a lot of sense. (Yes, I’m that person.) Information processing is so much harder for me when I have other things my brain is trying to concentrate on. This is why I have to ask my roommate to mute the TV or music if she wants to talk to me about something. It explains why too much stimulation can increase stress. And for someone like me, who is prone to anxiety, it’s even more important. In trying to multitask, not only are we rapidly switching tasks, we’re also stressing our brain, hindering our performance, and raising our cortisol levels into fight-or-flight levels. It encourages time-blocking. Time blocking, or setting aside a specific amount of time on a calendar for a specific activity, goes hand-in-hand with batching. I’ll talk more about time/calendar blocking in a different post, for now, I recommend you watch AmyTV’s YouTube video on the subject. Basically, it means that I’ve set aside several blocks of time per week to work on batches, and because I’ve identified several batches that I need to do for my various jobs and passions, I can keep up with a lot more in less time with less stress. Maybe that’s enough for you, but I’m going to wade into the weeds a bit. Grab your boots and come along. If you don’t put it on the schedule, do you really intend to do it? My biggest problem with to-do lists in general is that they don’t include a schedule component. I assume a lot of people do that in their heads, but I am not a walking calendar. I can’t figure out where to fit each thing and then just remember. In fact, historically, my to-do lists are more like “things I need to do at some point this week” lists. I don’t come in with a plan. That’s why it’s important for me to make one. There are challenges to scheduling, of course. I am not a parent, but working parents and those with multiple jobs probably have the hardest time finding blocks of uninterrupted work time. Everyone will go about it differently, and find different solutions. As someone who has multiple jobs, and utilizes this technique to accomplish them, these are my tips. In my current read, “Better than Before”, author Gretchen Rubin talks about Larks versus Owls—that is, morning people versus night people. She says that each person should go with the particular time of day that suits them. I was an owl as a kid, and probably still am, but as I’ve gotten older, it’s been harder to be productive at night, especially if I’ve been at the day job. I want to argue a little more in favor of mornings, mostly because our brains are freshest. In “Rest”, Alex Soojin-Kim Pang notes that our brains are at their best after resting due to the regeneration of brain cells during slow wave sleep and the production of myelin during REM sleep. Myelin is the fatty protein that coats our nerves and allows for faster transmission of impulses, which leads to more and better work. Ya brain faster after sleep. Probably also after coffee, if you’re me. Another thing that’s great for brain health is exercise. Pang notes that exercise is an excellent form of rest for the brain because it helps in the short term by increasing blood flow and decreasing stress, and in the long term by encouraging the creation of additional capillaries in the brain. 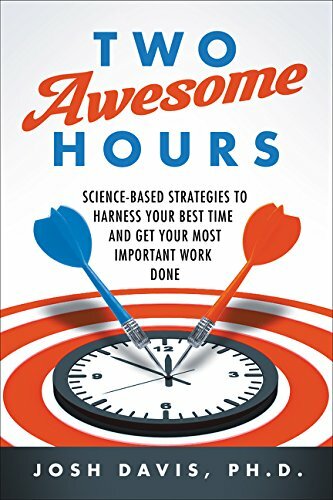 Another book (I know I reference a lot of sources, but I’m a Ravenclaw, get over it) is “Two Awesome Hours”, which notes post-exercise lifts in productivity in one of the studies it referenced. So, ideally, the best time to schedule batch work is in the morning after some light exercise. If you build a walk or yoga into your morning routine, that should be enough to get your blood moving and feed set you up for a few hours of feel-good productivity. My experience has certainly reflected this. Personally, I’ve found that I work best if I get started before 10AM, and even better if I’ve done yoga or a walk. On day-job days, of course, this means I have to get up at 5AM to have an hour of what I call “vocational” time. My Owlish self hates getting up that early, and I’m still not able to force myself out of bed every day. But if I can manage 2 out of my 4 days, and usually feel pretty good. To get a solid morning routine and an hour of work in on a day when I work 10 hours at a hospital? I’ll take that as an ideal. On the other three days, I try to be out of bed by 7 or 8 so I can get my morning routine done and be working before ten. I’m fortunate enough to have a job that allows me to cram a work-week into four days, so I have three days when I could put in batch work. I also don’t have children or anyone else whose care I’m in charge of (except my cat), so your mileage may vary. HOW LONG SHOULD I BLOCK FOR A BATCH? I suggest one to four hours of uninterrupted time. One hour is enough to take care of several administrative tasks or outline/brainstorm. It’s also probably enough for a couple of household chores. You know I’m about to bring some more books into this, though. Actually, these are books I’ve already mentioned. “2 Awesome Hours” obviously touts the power of two solid hours’ concentration. This is a decent time frame for me, if I’m thinking about making graphics or fleshing out a blog post. In fact, I’ve been working on this one for about an hour right now. It will probably take me another hour to finish. Two hours is a respectable chunk of time. I would not, however, go over four hours. 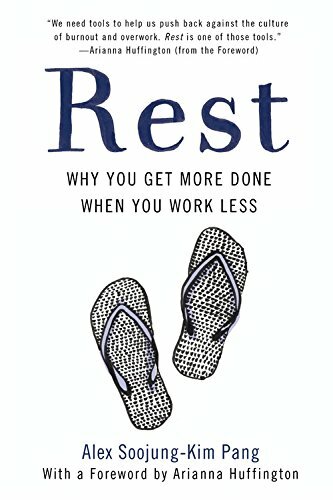 Alex Soojin-Kim Pang states in “Rest” that four hours is a good amount of time to work deliberately, after which we need to give our brains down-time. I’ll go into this more in step four. I tend to split the difference when I’m blocking in my schedule and set aside three hours of time per batch. Early on, I was trying to do two batches of three hours, but after reading “Rest” I’ve decided to do just one, then devote my afternoons to creativity (read: writing fiction). This is much harder, and I will write a separate blog post about it (I already have one outlined). For now, all I will say is, figure out what distracts you and try to eliminate it. Do you have trouble working at home? Take your crap to a library. Do outside noises distract you? Get noise-cancelling headphones. Constantly distracted by pings from your phone or email (or that blasted red notification bubble)? Turn on airplane mode, or—for a nuclear option—buy a timer jar or phone jail and set it for the amount of time you want to work. I’ll list out a few more apps and techniques in my longer post on eliminating distractions. Starting is often the hardest part. 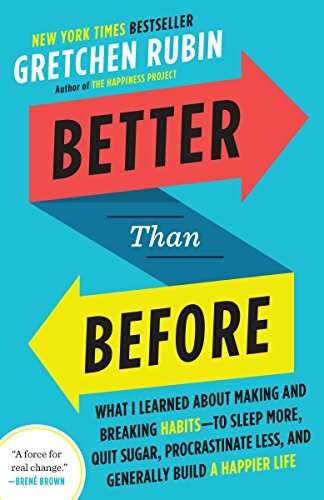 In “Better than Before”, Gretchen Rubin suggests eliminating excuses by setting yourself up for success. An example of this from my own life is setting up my desktop audio workspace the night before I intend to record. I not only pull up the program, I actually set up my new track, pull up the proper page on my manuscript, and make sure everything is working so that the next morning, all I have to do when I’m ready is sit down and hit record. Another thing that has helped me is establishing a bit of a trigger. This might be the simple action of putting in headphones, or taking a sip of coffee and setting my mug down by my keyboard, or turning on a certain playlist. Eliminate excuses by setting yourself up for success, and try to establish work triggers that get you moving. I’ve talked a little bit about reading the book “Rest”. This book was actually really transformative to me, because I’m the type of person who works until exhaustion. My brain is really prone to both sides of inertia. The same way that it wants to stay at rest when it’s at rest, it wants to stay in motion when it’s in motion. This workaholism is praised in many societies, but it leads to burnout. For me, it also leads to major crashes of depression. Further, it actually causes the quality of our work to suffer, because our brains are not working at their optimum. I’ve identified a couple of restful breaks you can take after your batch (or when you hit a snag and need a sec to think about something else. Don’t reach for that phone to check social media—that is not a break. That is your limbic system trying to convince you you need a hit, when what you need is to change what your brain is doing. I am an author meant for darkness and night. Except I’m from a species that is not naturally nocturnal. I need sunlight and fresh air, or the stimulation of streets and bustle. I also find that stepping outside wakes me up and makes me feel happier when it’s sunny. Have a quick something to eat. A little bit of complex carbohydrate will give your brain a boost, and if you add in a bit of protein, you can avoid the sugar crash. It’s also pleasurable to eat, so it’s pretty easy to convince ourselves to do it. Do something creative for ten minutes. I say sing because it’s something I like to do. For you, it might be doodling, or working on an adult coloring book, or knitting and listening to an audiobook. This is the biggest one. Pang notes that we retain information better after rest—and I learned in anatomy and physiology that sleep is when our brains both process the information we got during the day and establish our long-term memory. It’s no surprise that people who sleep a recommended amount are healthier, happier, and more productive. Every book I referenced today mentioned something along those lines. “Rest” also advocated for midday naps, if you’re the napping sort. If you’re wondering about the optimal nap-time, it’s 15 minutes for energy and 20-25 minutes for a creative boost. Longer than that, and you’re likely to slip into deeper sleep and have a hard time waking. Batching is a great way to increase your productivity because it helps to eliminate multitasking, thereby decreasing stress and increasing the likelihood of reaching a creative flow-state. You can be successful with batching your time by grouping like-activities and working on them in a single one-to-four hour block of time. Scheduling your batch with calendar-blocking at a time when it works best for you—ideally after a good night’s sleep and light exercise. Facilitate your batch work by eliminating distractions and excuses and cultivating specific triggers to help you start working. Finally, increase the efficiency of your brain by taking breaks that don’t involve reaching for distractions, and by getting plenty of sleep to encourage brain growth, speed, and agility. This will make you healthy, wealthy, and wise. Unless you’re a Millennial, when it might not do the middle thing.